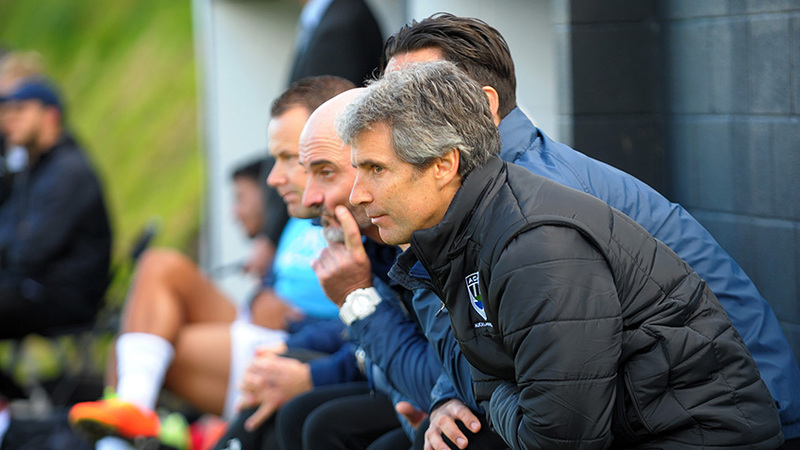 AUCKLAND, New Zealand - Auckland City FC coach Ramon Tribulietx can't wait for the new ISPS Handa Premiership to kick into life. Back for his 10th season with the Navy Blues the affable head coach believes there is room for improvement on last season's campaign. Last season Auckland City FC beat Team Wellington in the OFC Champions League final 5-0 on aggregate, yet a record breaking seventh Premiership title eluded his team. Tribulietx takes a very humble view of what happened. "We played against a very good opponent, very well structured who were highly motivated which required a lot more from us than we showed on the day. We made up for that in the OFC Champions League final but we paid a price for it. "I didn't quite manage to motivate our personnel for that Premiership final at the level I should have. It seems like after winning the minor premiership we were not as focused as we should have been for a game like that, and I hold my hands up for that. "The Premiership final was tactically difficult to play, but the way the goals were conceded proved we were not quite in the right mindset for that game. With the new season just around the corner there is plenty of space to dream of making up for the domestic disappointment. "We want to compete for all trophies at stake in the ISPS Handa Premiership and OFC Champions League. We want to be as competitive as possible at the FIFA Club World Cup and elsewhere internationally if we have the opportunity like we did last year in Hong Kong. It says a lot about Tribulietx and Auckland City FC that there is a sense of disappointment in a season where they won the NZF Charity Cup, OFC Champions League, secured the minor premiership and won the Nike Lunar New Year Cup in Hong Kong. Tribulietx says the expectations remain high from everyone at Kiwitea Street. "Nothing changes with respect to our objectives. We are a winning club and our targets at the start of the season are always as high as possible. "We were very close to getting a major result in Japan last year and for 15-20 minutes we felt we could beat Kashima Antlers. "The way we rounded off the season was excellent particularly in the OFC Champions League final," he said. With changes to the composition of all squads in both the ISPS Handa Premiership and OFC Champions League getting new signings has been a challenge and one Tribulietx says are ongoing. The club is in the process of finalising their squad, and while there has been no information released regarding new players, it is clear the club is trying to adapt to the new rules as best as they can. And his own drive and hunger for success remains as strong as ever. "This season we have a lot of player changes and that means we will have a good job to do in regards to our playing model and the way new players fit in. "I am passionate about football, and for me, nothing changes. I am trying to find ways to improve our team and make it better and more competitive, and I am looking forward to getting started." Story by journalism student Helen Brown based in Glasgow, Scotland.